2-3세 미만 매일 1 구미를 섭취하세요. 4세 이상 매일 2 구미를 섭취하세요. 의사의 처방을 받거나 임신, 수유 중인 경우 담당 의사와 상담 후 섭취하세요. 외부 씰이 파손되었을 경우 섭취하지 마세요. 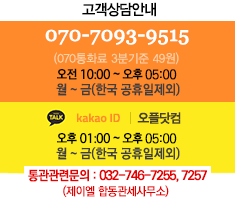 사용하기 전에 전체 라벨을 읽고 지침에 따르시기 바랍니다. 어린이들이 맛있게 먹을 수 있는 한 입 크기의 영양제입니다. 필수비타민과 미네랄 함유, 활성 비타민과 살아있는 유산균이 어린이 건강과 면역력 증진에 도움을 줍니다. [Warnings] Keep out of the reach of children. Store in a cool, dry place. Take only as directed. Do not exceed suggested dosage. If you have a medical condition, are on medication or are pregnant or nursing, please seek the advice of a qualified health care professional before using. Do not use if inner seal is broken or missing. [Suggested Use] Ages 2-3, take 1 gummy daily. Ages 4+ take 2 gummies daily. Chew thoroughly before swallowing. [Other Ingredients] Cane Sugar, Glucose Syrup, Water, Gelatin, Natural Flavors, Coloring from anthocyanins, Citric Acid, Lactic acid, Tartaric Acid.